For this instance, let’s say we’re trying to recover a password (Apples123) that’s been hashed with SHA256 (a5fca64a1ecdce7bbf5cd75d59e302776cfea0c202ed82d6ef42e37ef3d34479). We want to recover that password because we forgot it. 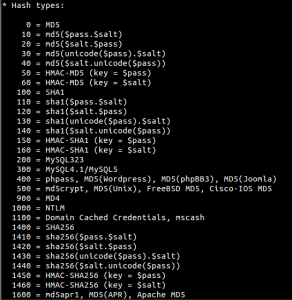 There’s many different types of attacks we can use against a hash, namely dictionary attacks and bruteforce. Let’s say that we have a rough idea of how long the password was, and we know that there are no special characters (!@#$^*). If we wanted to run a plain bruteforce attack, this would take ages. Because of the data that we know, we are able to optimize a much more efficient attack at calculating the original value of the hash. We are able to set a custom character set, and set a specified range of possible lengths of our password. Let’s start out by grabbing a copy of Hashcat from their website here. 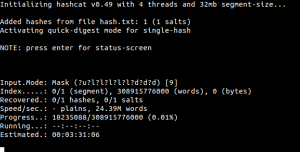 I’ll start out by running a benchmark to get a ballpark idea of how fast we can crack our hashes. 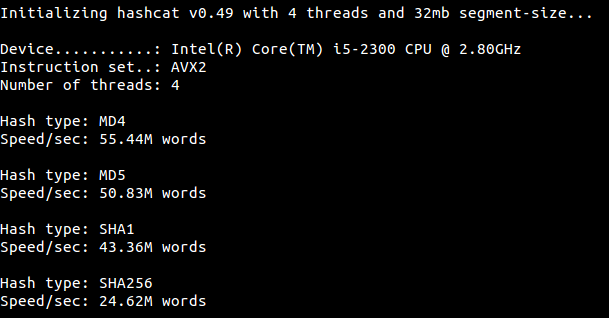 Using the -b option, hashcat will run a benchmark for various hashing algorithms. 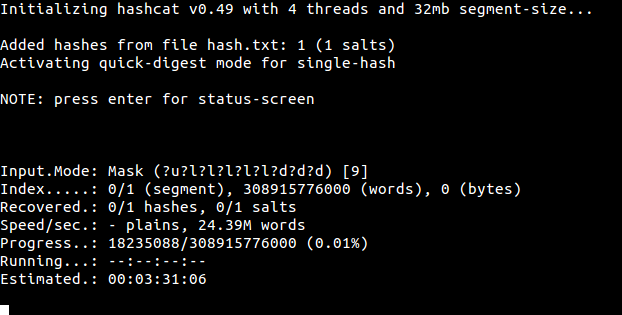 We’re only interested in SHA256, which comes out to about 24M attempts a second. In the real world, there are many factors that will slow us down, so realistically, we should not expect this speed. So we have our hash, we have some limited information about our password, and have our tool ready for work. Let’s begin. 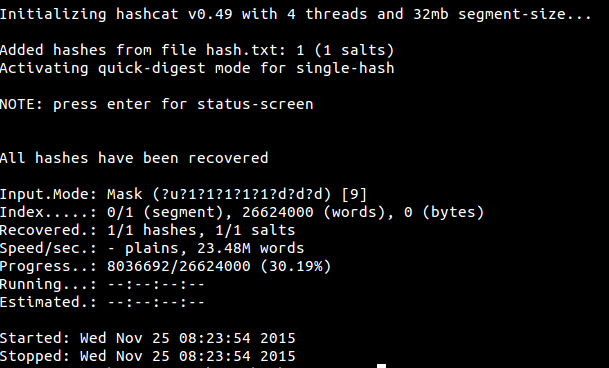 Inside the directory you extracted hashcat too, we’ll create a simple plaintext document. I’ll name it hash.txt. 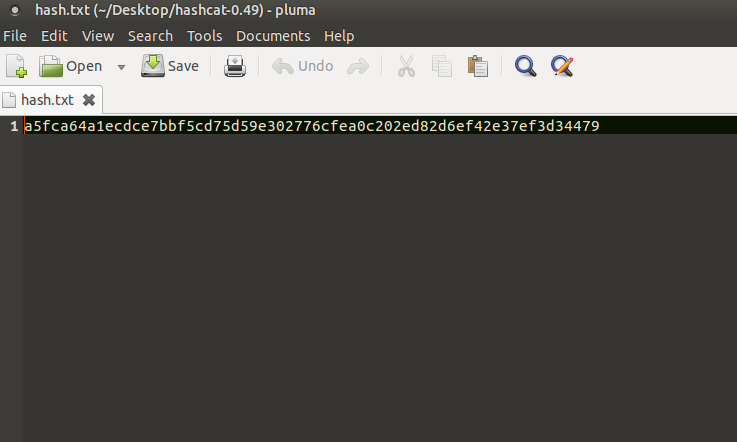 I’ll add our hash value calculated earlier to this text file. Okay, we’ve got our target hash saved, let’s get to work. 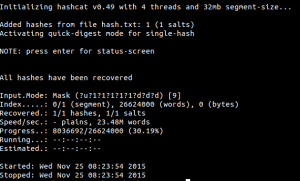 Hashcat can crack dozens of different types of hashes from WPA to NTLM/LM. 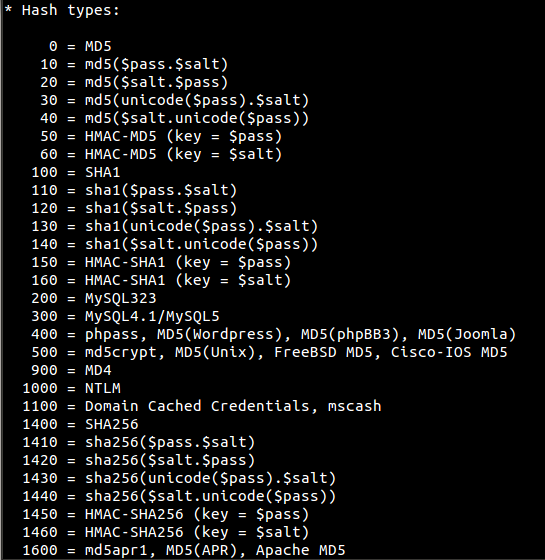 It can also handle salted hashes, passwords, etc… Again out of scope but relevant to know. We’ll need to find the option for SHA256. 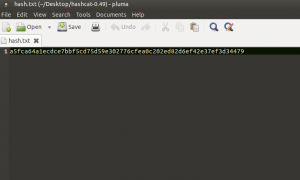 ./hashcat-cliAVX2.bin -m 1400 -a 3 --pw-min 9 --pw-max 9 hash.txt -o cracked.txt "?u?l?l?l?l?l?d?d?d"
We ‘-m’ for hash type (1400 = SHA256), ‘-a’ for attack mode (3 = bruteforce/mask), –pw-min and max for our specified length, hash.txt for our hash to be cracked, ‘-o’ will output the hash when cracked to cracked.txt, and finally our mask. ?u is the character set for capital letters, ?l is lowercase letters, and ?d is numbers. We’ve cut our time down to about three and a half hours to crack our hash. We can optimize our attack even more if you know that specific characters will be in a certain place. Let’s say a password only uses the letters ‘A-F’. We can create a custom character set by using -1 ABCDEF and then using ?1. We can also throw numbers in there too with -1 ABCDEF?d. Do you see what I’m doing here? Let’s say we want to do a second custom character set with lowercase and uppercase letters, we’d do -2 ?u?l and ?2. Since we already used -1, we’ll used -2. Now you can really see the power of this attack. And we’re done! 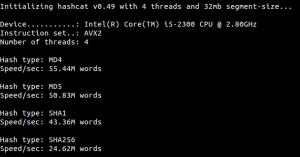 If we were to use a GPU like an AMD7970, we could crack this in mere minutes, as GPU cracking is magnitudes faster. Those 11 characters would consist of capital letters , letters and numbers, what do I need to add that as? since ?a would also count symbols in. Didn’t quite get me the result I wanted. I still need the suffix infront of the 11 possible characters. This would generate a string with the prefix 2- and then 11 characters either being lower/uppercase or numbers right? I understand what you were asking now. Copyright © 2019 MOV r0.